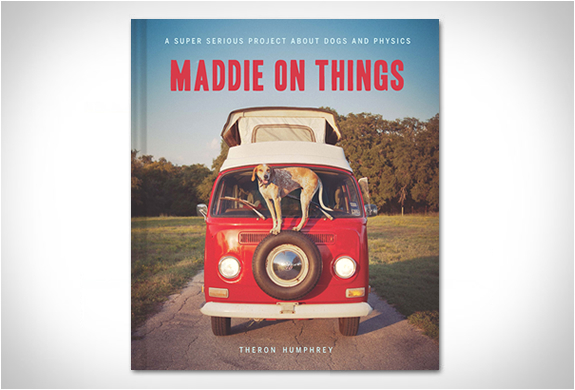 "Maddie on things" first caught the public´s attention on the popular blog with the same name. 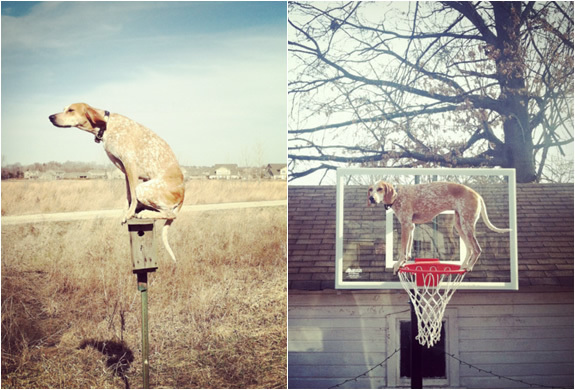 The blog is about the famous internet coonhound that stands on things. 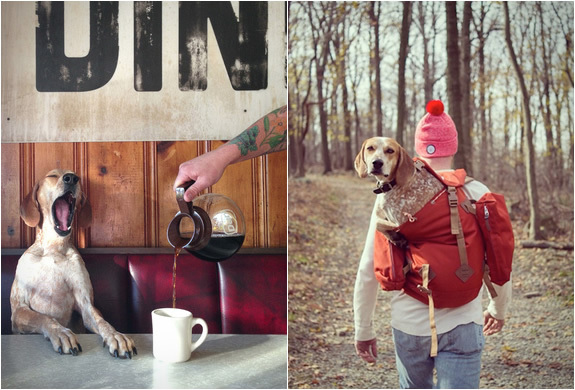 Maddie is a sweet-tempered coonhound owned by photographer Theron Humphrey, during a a year-long cross-country road trip together, Theron took photos of Maddie doing what she does best: standing on things with amazing balance, grace and patience. 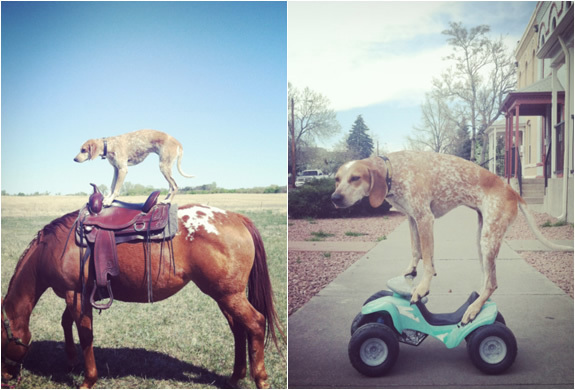 Maddie happily stands on everything from bicycles, horses, to fridges, giant watermelons and people... A fantastic book with the original series of photos has just been released. But wait! 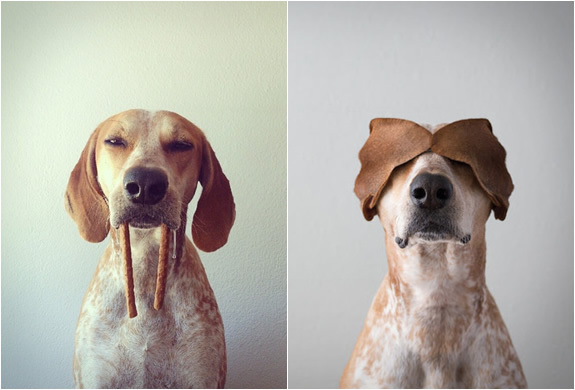 this craze doesn´t stop here, there is also an hilarious MaddieCam app! for placing Maddie on anything you´d like.